Finnish firm nabbing own 'data rich' service. Nokia is in the process of purchasing 3D mapping firm earthmine as it looks to build in 3D capabilities to its newly-announced Here location service. The Finnish firm is taking a big gamble on mapping services, launching its new, cross-platform Here service, providing Windows Phone, iOS and eventually Android and Firefox OS users access to its cloud-based service. 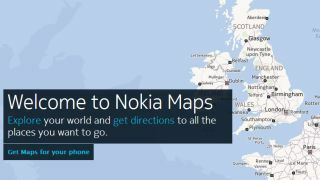 Nokia expects its acquisition of earthmine to be completed by the end of the year, as it plans to use the California-based firm's technology as an "integral part of Here's 3D map making capabilities." The 3D map will directly compete with Apple's Flyover feature in the new iOS Maps service – although Nokia will be hoping for a smoother launch than the Cupertino-based firm, which witnessed numerous errors in its service, which are still in the process of being fixed. The 3D technology is going to be coupled with the new LiveSight feature used in the Nokia City Lens app, which lets you explore points of interest in your area while you look through your smartphone's viewfinder. There's currently no information on when exactly the deal will be done, and when we can see the fruits of Nokia's acquisition, but it looks like Apple and Google will need to up their respective mapping games once again.